OTTAWA, February 25, 2019 – Canada’s Premiers highlighted the strength of the Canada–U.S. economic relationship and the importance of working together to secure North American prosperity during meetings in the U.S. capital over the past several days. 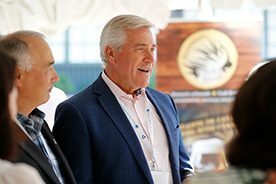 The mission was led by New Brunswick Premier Blaine Higgs, Chair of the Council of the Federation. 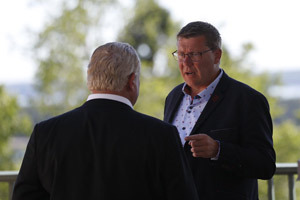 Joining him were Ontario Premier Doug Ford and Saskatchewan Premier Scott Moe. The mission coincided with the 2019 Winter Meeting of the National Governors Association. A roundtable event with 30 American business leaders at the U.S. Chamber of Commerce, focussed on Canada-U.S. trade issues. 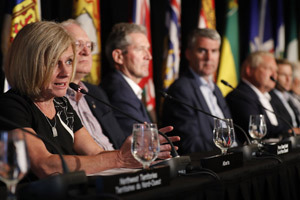 A discussion with U.S. Governors on implementing USMCA and making cross-border trade easier for businesses. A meeting with U.S. Under Secretary of Energy Mark W. Menezes, focused on energy security issues and pipelines. A media panel with POLITICO Pro Canada covering a broad range of issues. 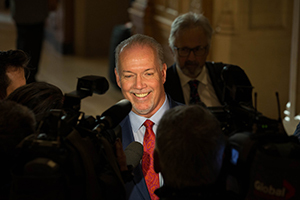 Numerous one-on-one meetings between Premiers and U.S. Governors focussed on issues of mutual concern to their citizens. 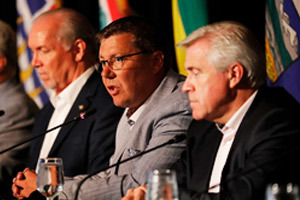 Premiers stressed that no two nations depend more on each other for their mutual prosperity and security than the United States and Canada. Canada and the U.S. share a unique and vital connection as one of the largest bilateral trading relationships in the world. Canada is the number one market for products and services for 38 of the 50 states. Working together to expand trade and strengthen Canada-U.S. relations is an important priority of Canada’s Premiers.